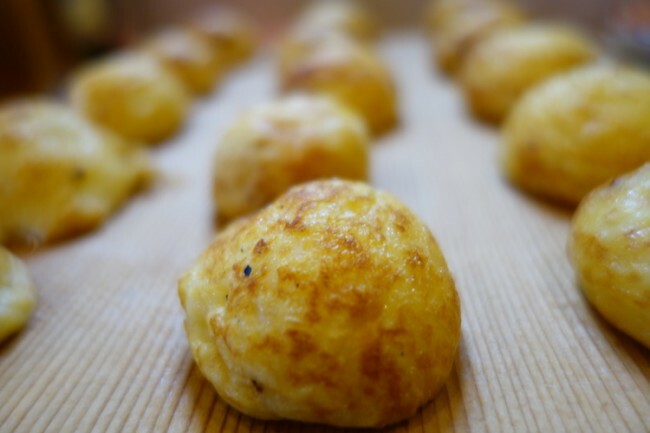 It might seem a bit of a stretch to visit two restaurants to try out some food, but if you have ever tasted the wonderful snack known as akashiyaki, you might find yourself doing the same. 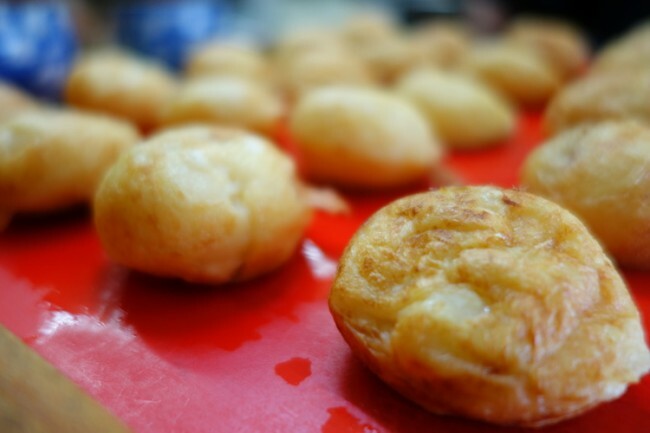 Round, eggy, fluffy, with octopus pieces inside – the dumplings might look very much like takoyaki (たこ焼き) at first glance, but akashiyaki (明石焼き) is completely different from the takoyaki that you know. 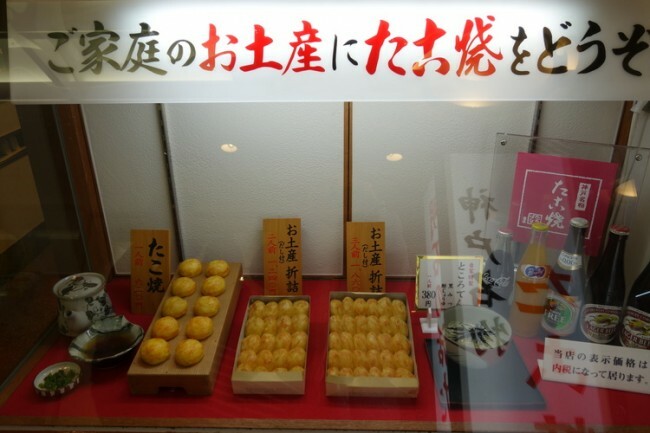 As the name implies, akashiyaki is a regional cuisine of Akashi, a city in southern Hyogo prefecture, about 30 minutes west of Kobe by car. While these egg dumplings are commonly known as “tamagoyaki” (玉子焼) in Akashi, outside of the area and nationally, they are called “akashiyaki” to distinguish themselves from the grilled egg dish “tamagoyaki” (卵焼き), which is a rectangular omelet roll. Akashiyaki is said to be the basis of the internationally renowned takoyaki. But this is just one parent we are talking about – the other parent of takoyaki, the lesser known “rajioyaki” (or “radio-yaki”; ラヂオ焼き), is a round snack made of flour, with konjac and pickles (later beef tendon) cooked in soya sauce wrapped inside, that was popular among kids around the 1920s. Takoyaki was born, according to common beliefs, in the 1930s when a customer said in a mobile food stall (yatai, 屋台) selling rajioyaki, that “They use octopus (i.e. tako) in Akashi, you know.” The evolved rajio-turned-tako-yaki was quickly spread in Osaka and has become one of the area’s symbols ever since. 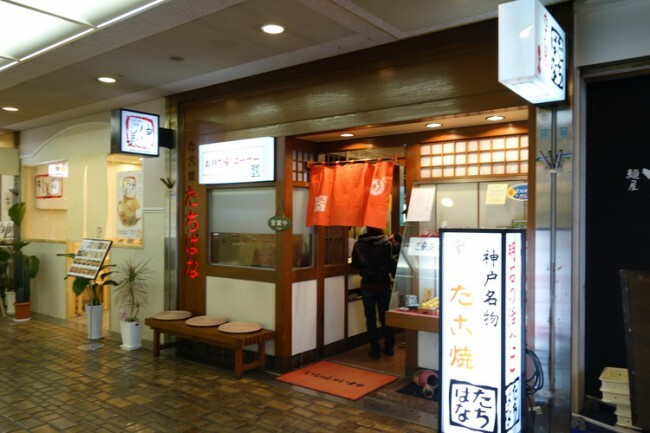 And a small note on the original takoyaki: unlike what is generally seen today, takoyaki was eaten plain in the beginning, without seaweed or bonito, soya or tonkatsu sauce on top. So don’t be surprised when you go to older stores in Osaka and find no toppings or sauces on your order. What’s the Difference between Takoyaki and Akashiyaki? 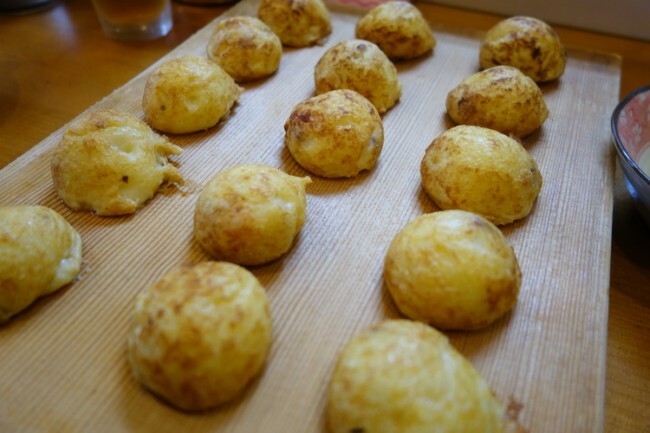 A major difference between takoyaki and akashiyaki is that, while takoyaki is a “konamon” (コナモン, or foods made of flour, such as yakisoba and okonomiyaki), akashiyaki is defined as an egg dish, as it is composed of chiefly eggs whereas takoyaki can have comparatively little or even none. Another noticeable contrast is the dipping. Akashiyaki comes with a small bowl of broth on the side, for dipping the dumplings before you eat. Originally used for cooling the dumplings, the broth is served warm today and has taken a larger role in forming the image of akashiyaki. 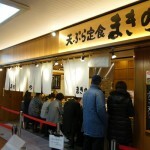 The bonito-based broth may be garnished with a piece of mitsuba (三つ葉) on top or something else that gives it an herbal hint, and its flavor is an attribute as equally important as the dumplings when customers evaluate a store. 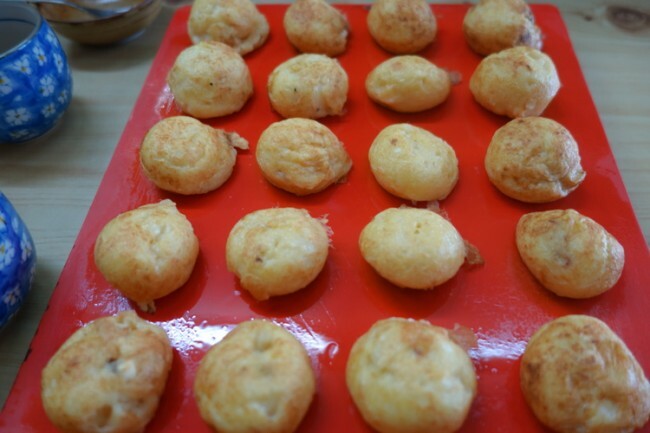 Akashiyaki, How is Its Taste Like? My first akashiyaki experience took place at a matsuri in the midst of winter. Cold and hungry, I was recommended to get akashiyaki instead of the standard matsuri food of yakisoba (which was more appealing due to its volume.) My first impression was to balk at the price, five hundred yen for five eggy balls in a soup? But after the first bite and a sip of the soup… steamy hot, with a heavy egg taste but unexpectedly light in texture, it was nothing but heaven. I swore I would make a trip to Akashi just for akashiyaki. 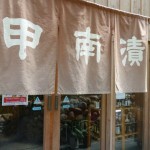 Akashiyaki Restaurant , Where to Go? Then it happened, well maybe it is a bit exaggerated as I was in Akashi for something else unrelated, but I did take the time afterwards for akashiyaki only. A quick research online helped narrow our targets down to three stores, scattered around the city. Stores in Uo-no-tana (魚の棚) downtown close to the station might be more famous, but we were more inclined to try something exclusive and unconventional, so we did not mind a bit of extra driving and searching at all. Imanaka (今中) was the first stop we made. There were a couple of tables and a counter that could sit four or five, and the store was pretty full even it was after lunch hours. Tamagoyaki was the only thing on menu: fifteen pieces for 500 yen. We ordered one serving for each of us. What came first was a clear, light-colored kombu broth. 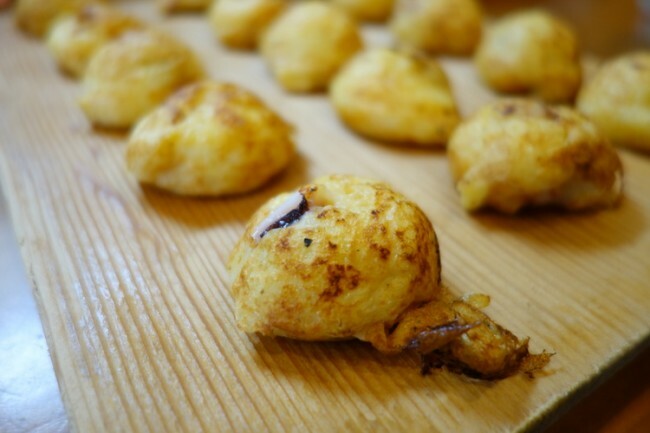 Then came 15 akashiyaki on a wooden cutting board (まな板), that was tilted toward the front (i.e. the stand on the back side was taller). Some say the altered cutting board is for easier transportation of the dumplings from the pan (i.e. to flip all of the dumplings onto the board at once), and some say it is for the eater to pick up the soft dumplings easily. 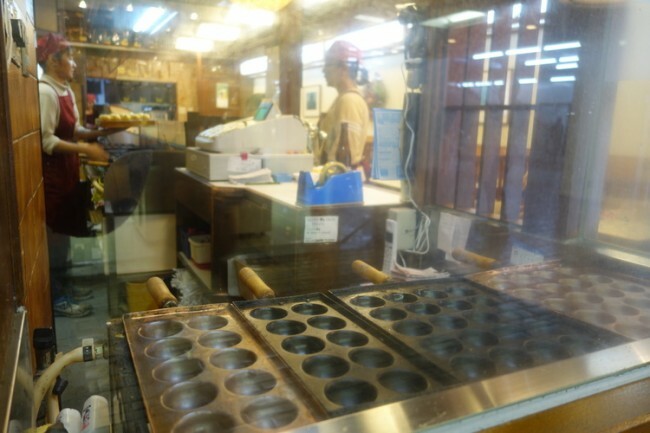 Either way, I could not wait to get my hands on the authentic Akashi akashiyaki. The broth by itself was very subtle, but when eaten with the dumplings, the umami of it married pleasantly with the heartier and rich flavor of the egg. The octopus in here was more of a bonus, a bite of a chewy treasure that balanced the taste and fluffiness of the egg that dominated. 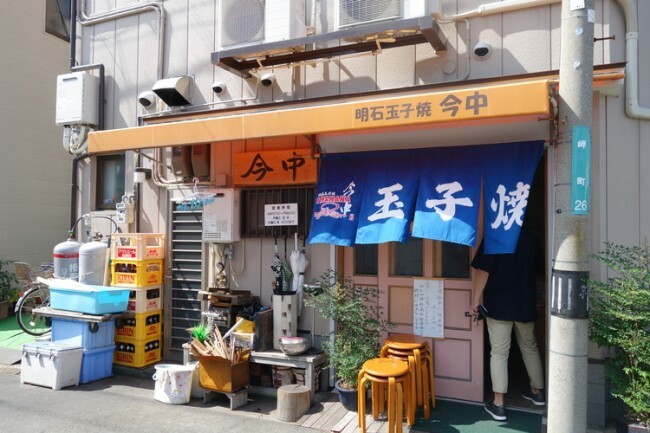 On each table, there were small containers of yuzu shichimi (七味, seven-flavored chili pepper), plain chili pepper, milled rock salt and takoyaki sauce, in case some variation in taste was desired. Yuzu shichimi was my favorite, but the dumplings without any addition were fine by all means. 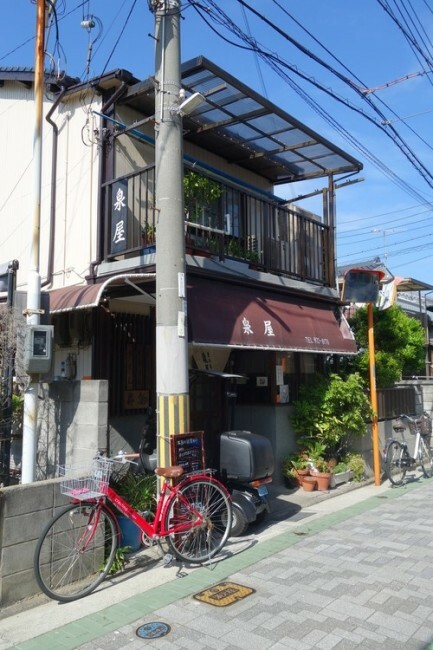 We then followed the GPS in search for our next target, Izumiya (泉屋), a family-run store tucked away in a quiet neighborhood by the coast. From the front, the store looked like a regular residence with a sign hanging from the second floor. The inside was a bit bigger than the last store, and we were the only customers. From the time we sat down until we left, however, I think there were no less than six or seven delivery orders that left the store. This time, there were 20 dumplings in each order and were served on a red board. One thing special about here was, other than the regular tamagoyaki, there was the “advanced” version with extra egg that you could order. We went for one regular and one advanced type. The broth was a fish-based one, and was relatively cooled. 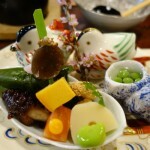 The dumplings were heavier in taste and less tender in mouth, even for the regular type. The more anticipated advanced version was, unexpectedly, a bit disappointing due to its tougher texture from the extra egg. Maybe we had lost the excitement (or were full already)? It was almost 5pm by the time we finished, and we agreed (resolutely) to save the third store for next time. Driving on the way back, we felt like we were having an egg coma and were pensively concerned about our bodies. But for that delightful fluff in my mouth, I would definitely do another 30 akashiyaki now if you ask me. A very typical Millennial, who loves traveling and gastronomy. Kelly was born in Hong Kong and has lived in Canada, Japan, Germany and Austria. She has recently moved to Kobe for their bread.